Sanaka Rsi Dasa – India: On the 16th of August 2011, I sent the document below to a select number of ISKCON child protection authorities and other senior devotees. I now deem it is necessary to share the same with the public. This version has been slightly edited to protect victims. As I am unsure on the identity of the decision makers on important CPO issues, I will address this request to Champakalata prabhu as the CPO director and to the GBC. It has been pointed out that my articles have caused (some referred to it as needless) disturbance to many who are not in a position to influence or bring improvement. Causing disturbance never was my intention. I regard the current child protection efforts in ISKCON as being far from ideal, and far below the minimally acceptable standards. This has been cause for great concern; on numerous occasions I felt I was left with no reasonable option, and thus I shared my concerns and the basis for them with the public. Before deciding to go public with my recent articles, I made repeated but unsuccessful attempts to address my concerns with Tamohara and Anuttama prabhus. To this day, the letters I wrote them remain unanswered. In this paper I list the reasons that bring me, despite my earlier reservations, to request a review of the case files for Bhaktividya Purna Maharaj, and an investigation to ascertain the wellbeing of the children currently enrolled in his Gurukulas. To avoid causing further confusion and disturbance amongst the devotee community, it would be preferable to address this situation within a private forum of devotees who have an interest in the issue and/or can contribute to a solution. Towards this end, I have decided that I will not share this article with the public, if the points and questions raised herein are addressed in a satisfactory and responsible manner by the 15th of September. 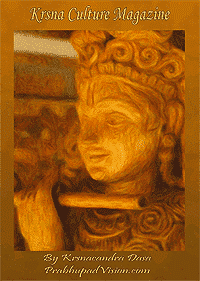 The GBC/CPO have investigated both Bhaktividyapurna Maharaj and his gurukulas on two occasions. The first investigation took place in 1991 and was conducted by Tosan Krsna prabhu, Adi Karta prabhu, Dayarama prabhu, and Bhakta Rupa prabhu; the second was headed by Dhiragovinda prabhu during his tenure as the director of the CPO. The investigations were carried out with fairness, expertise and thoroughness, in the context of available resources. On both occasions, alarming evidence was uncovered; these were disturbing accounts of the untold sufferings endured by the children placed under Maharaj’s care. For the most part, the abuse discovered, was caused by dereliction of duty on the part of Bhaktividya Purna Maharaj, who neglected to take the necessary and adequate measures to address numerous reports of sexual abuse, thus failing to protect the children, and allowing the abuse to perpetuate and spread. It also came to light that Maharaj was personally responsible for extreme and disproportionate physical violence. As a result of the 1991 investigation Bhaktividyapurna Maharaj was banned from any involvement with children. The curious thing is that only a few months after the 1991 ban, Maharaj was reinstated as the headmaster of the school, as if nothing had happened. I am not aware if this reinstatement was sanctioned, and if so by whom. It is alleged that after his return more children were abused. In the report for the investigative interview dated 04/1999, on the Bhaktivedanta Gurukula Village (Bhakti Vidya Purna Maharaj’s Gurukula), we find that in the course of the interview Maharaj lies, and gets blatantly caught in the network of lies he created, in an attempt to downplay the number of incidents and the degree of the abuse that took place under his supervision. This is reason for serious concern, because it demonstrates that for Maharaj defending his position, takes precedence over safeguarding the best interests and wellbeing of the children placed in his care. It would therefore be irresponsible to rely upon him to report, have reported, and adequately address incidents of child abuse, especially where doing so may jeopardize his position or personal interests. After Sesa prabhu, GBC, as well as minister for justice and education, became aware of the findings and the methodology employed in the above mentioned interview, he objected to the fact that the investigator, Dhiragovinda prabhu, had failed to inform Bhaktividya Purna Maharaj that he was in possession of the 1991 investigation report, until after Maharaj had implicated himself by lying to cover up the enormity of his responsibility. It would appear that Sesa prabhu regarded Dhiragovinda’s investigative methods as being somewhat underhanded, and therefore inappropriate. That is, the concern of Sesa prabhu was about the (pretty standard) investigative procedures employed to expose the deception and lies of the accused, and not the dishonesty and deception itself, perpetrated by the person responsible for severe, extensive and enduring child maltreatment, for the purpose of covering his tracks. Some may argue that in this instance, the investigator was not particularly forthright. Clearly, as is evident from reading the April 1999 report, Maharaj also lacked truthfulness in his dealings, which were fraught with concealment and deception. So, if integrity truly was what concerned Sesa prabhu, I would have expected that then, for consistency’s sake, after reproaching Dhiragovinda prabhu, he turned to address Maharaj’s lack of integrity. Unfortunately, as far as I’m aware, he didn’t. If at any time since the April, 1999 report Sesa prabhu, has challenged Bhakti Vidya Purna Maharaja about his lack of honesty and necessary brahminical truthfulness in the 1999 investigation, I, and I believe many others who share my concern for the safety of Srila Prabhupada’s children, will be eager and interested to hear about it. Sesa asked that Dhiragovinda offer his apologies to Maharaj, but did not feel it was necessary to request that Maharaj apologizes to his victims or explain his attempts at deception and cover up; he was seemingly more concerned with addressing what he regarded as an inappropriate investigative procedure, rather than the severe abuse uncovered by the investigation and the protection of the children in Maharaj’s care. More recently Bhaktividya Purna Maharaj came to be accused of inappropriate dealings with some of the girls in his Gurukula. These allegations were investigated by Ramadevi prabhu. While I am not aware of the findings of the investigation, there have been no apparent restrictions enforced on Maharaj following the investigation. While it is of course possible that in this instance the accusations were unfounded, the friendship that exists between Maharaj and Mother Ramadevi affects the credibility of the CPO, Maharaj, his schools, and the findings of the investigation itself. It is unsettling to observe that as a society of aspiring Vaisnavas we are somehow finding it acceptable that a Sannyasi has any sort of relevant role in the upbringing of girls; this should be regarded as inappropriate, unacceptable and reason for concern, even if Maharaj did not have a history of severe child abuse. Taking into account the past, it is contrary to common sense that Bhaktividya Purna Maharaj is allowed to be holding any positions connected with children. Considering that we have been lending support and permitting Maharaj to be deeply involved in not just one, but two schools, for several years, we ought to ask ourselves if it is not us, as a society, even more so than Maharaj himself, who have lost track of reality and are in urgent need to reassess our standing. To presume that, a person responsible such severe negligence and abuse as Maharaj, is somehow suitable to look after children is indefensible and unreasonable, if not outright reckless. Given the history, and considering that the ISKCON Child Protection leaders have been aware of Maharaj’s past wrongdoings, who will stand to be accountable, if the allegations pertaining his recent misconduct with the girls in his school turn out to be true? And who will take responsibility in the event of new incidents of child abuse pertaining Maharaj and/or the children in his Gurukula? What this means is that the new director of the international Child Protection Office was not even informed about some of the most horrendous child maltreatment in the history of ISKCON. Generations of physical, sexual, and emotional child abuse, didn’t even make it on the training agenda for the person who was to become the director of the Child Protection Office. It is evident that there is an urgency to reassess our priorities. Who is responsible for this? Who will account for this? I am guessing that Tamohara prabhu as the former CPO director ought to be able to offer some valid answers and clarifications. Let us deliberate on the above, within the context of the gross ignorance and/or minimization of the child abuse which occurred in Mayapur during the late 80s and early 90s by current “leaders” in child protection. “Campakalata indicated that the head of the child protection team in Mayapur considered that what happened in ‘…the 1991 adolescent cases in Mayapur….’ was ‘…merely a play – game and not a CPT issue”. Some have put forth the generous consideration that perhaps Maharaj was merely highly incompetent, and that his gross negligence and the severe physical abuse he inflicted, somehow, were not deliberate, but rather due to a lack of qualifications and adequate training. Even accepting these shallow ploys, there are still some natural questions left unanswered, such as: why and by whom was it decided that it was sensible and serving the best interests of ISKCON, the children or Maharaj himself, to reinstate him, on not just one but two separate occasions??? We must also consider that Maharaj’s lack of effort to take responsibility for his wrongdoings, apologize and make the necessary amends, coupled with his lies to downplay and cover up the same, as well as his continued involvement with children suggests that he does not afford his past misconduct the necessary importance. After the publication of my article, I have been made aware of allegations, which constitute reasonable cause for concern suggesting that the safety of the children in Maharaj’s care may be at risk. Though I was initially reluctant, in light of these allegations, I now find it necessary to request an investigation on Maharaj and his gurukulas. The allegations assert that the use of psychological manipulation, fear and coercion are commonplace practices used to control the children in the schools. It appears that Maharaj has daily interactions with the children, and that he is portrayed to them as their Guru; the kids are encouraged to look upon the role he occupies as being more important than that of their parents and that therefore his wishes and instructions take precedence over those of their parents. The children are not given a specific time to chant japa and Srila Prabhupada’s books are not part of the school curriculum; the only time children are given time to read them is if they enrol in the bhaktishastri course. An example is the recent trip to Sweden of the girls in Maharaj’s Gurukula. It appears that as the travel arrangements were being made the girls were specifically instructed that discussing the travels plans with their parents was not important or necessary. The most alarming accusations are related to Maharaj’s relationship with the girls in his school; they are told that it is Maharaj alone that will determine whom they can and will marry and how their lives will be shaped. It is alleged that in the gurukulas there is an atmosphere of oppression and that it is run on a management style based on fear and intimidation. During the vacations the children are called to come to school most days and if the parents object, the children are chastised. There are also allegations claiming that Sri Radhe, the principal of the girls’ gurukula, uses offensive language to chastise her students. 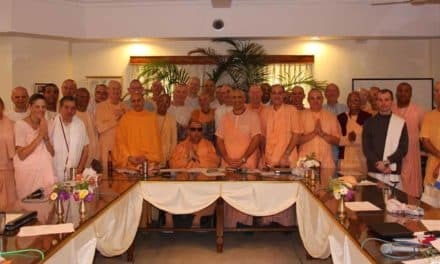 A significant number of the local Mayapur CPO representatives are too closely connected to Maharaj to guarantee objectivity. I am told that the person in charge of the CPO in Mayapur also holds a relevant position in the schools’ management. A number of CPO members teach in the schools, while others are former students of Maharaj. Having ANY individual who is both a member of the CPO and a teacher, poses a serious conflict of interests, this compromises the best interest of the children; especially when it comes to be in direct conflict with what may be perceived to be the best interests of Maharaj or the school. In the USA for example, in an effort to ensure transparency, teachers answer to and are paid by the Board of Education, but counsellors answer to and are paid by the Health Department. It is also alleged that the entire management in the school is composed of disciples of Maharaj and that, contrary to the last CPO ruling, all significant administrative decisions require his approval. While these arrangements may be very effective to minimize managerial conflicts, they leave no room for accountability. As is clearly demonstrated by Bhaktividya Purna Swami’s current involvement with children in the examples I have outlined in this and my other articles, the single foremost factor that has ensured the occurrence of the rampant child abuse that has plagued our society, has been an almost complete lack of suitable accountability measures in regards to child protection in ISKCON and specifically amongst our leaders. Other contributing factors have been the lack of real interest to adequately prioritize child protection, a pervasive want of awareness, insufficient and inadequate regulations along with a widespread reluctance to implement whatever rules we have had in place. It is evident that the number ISKCON of leaders that, in words alone, are supportive of the concept of child protection, far outweighs those who back their words with concrete and courageous actions. Very few are willing to take a definitive stance to address real and complex issues when they arise, especially when friends or other influential individuals are involved. To the best of my knowledge, the MED never consented to Maharaj’s reinstatement. This being the case, it means that Maharaj’s current involvement with children is unlawful. The fact that for a number of years we have permitted Maharaj to be illegally involved with children does not constitute a valid enough reason to allow him to continue. As far as I am aware, neither the GBC not the CPO have any measures in place to ensure that Bhaktividya Purna Maharaj, an individual both directly and indirectly responsible for some of the worst abuse to children in the history of ISKCON, is complying with the ban from managerial roles. That these and much worse kinds of irresponsible behaviours are tolerated and therefore commonplace in ISKCON is proof that whatever measures we have for the protection of our children are woefully inadequate. Accountability for the questions and issues raised herein is of equal or greater importance than to responsibly handling the current situation related to Bhaktividya Purna Maharaj and the children under his care. Such accountability has been painfully conspicuous by its absence. The direct costs ISKCON has sustained due to our past inability or unwillingness to adequately prioritize child protection is incalculable on so many levels. As far as the past is concerned, we may have gotten away with claiming ignorance and inexperience. Today this excuse just won’t do! The good news is that we still can and must start now! For the greater good of ISKCON as a whole, but especially in the best interest of the children currently placed in the care of Bhaktividyapurna Swami, and of the “then” children, whose abuse he was/is responsible for, – I request that – Champakalata prabhu, as the director of the CPO, initiates an independent review to reassess Maharaj’s past case files deposited with the CPO. It is necessary to establish whether the previous verdicts issued were adequate and proportionate to his offences and whether the current circumstances ensure the best possible care and protection of the children in his Gurukulas. It is also necessary to establish if his current position serves the best interests of the three parties involved, namely; the children, the society and Maharaj himself. We need to determine whether his present involvement with children, respects the CPO restrictions placed on him, and if it is coherent with the ethos and principles on child protection ISKCON defends and advocates. 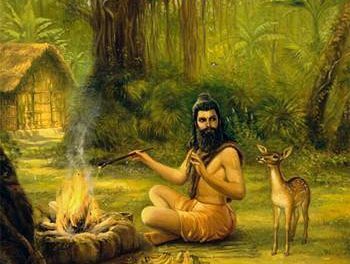 I further request that a new investigation be launched on the two Gurukulas currently under Maharajs’ guidance, to ascertain that the physical, psychological and spiritual wellbeing of the children is cared for and protected to the highest standards. It is furthermore necessary to review the investigation conducted by Ramadevi prabhu pertaining Maharajs’ alleged misconducts with the girls in his school to corroborate the reliability of her findings. To ensure the value, transparency and credibility of the review and the investigations, the inquiry needs to be carried out by an independent panel of qualified individuals whose reputation and integrity is beyond reproach, and who are in no way connected with Sri Dham Mayapur or Bhakti Vidya Purna Maharaj. I humbly request that the GBC recognize the importance of this inquiry for ISKCON as a whole, and be fully supportive, by facilitating it, and giving Champakalata prabhu all the assistance she will require to accomplish this difficult task. I also pray that both the GBC and Champakalata, take full advantage of this opportunity to redeem the less than perfect impression earned in regards to child protection, both individually and as an institution. Looking at the history of child abuse in ISKCON and more specifically of Bhaktividya Purna Maharaj, I can’t think of any valid reason why Maharaj has gotten away with so much, and continues to do so, other than the fact that he is enjoying the benefits, undue support and protection from friendships in high places. I invite the reader to carefully consider the overall risks and costs involved, both for the children and ISKCON as a whole, in continuing to allow Bhakti Vidya Purna Maharaj to maintain his current position, and to determine whether they are justifiable. In recent correspondence with Madhusudhani Radha prabhu she pointed out the need we have as a society to learn to trust that by doing the right thing and adequately serving and protecting these vulnerable young Vaisnavas, we will actually please Krsna, and that by pleasing Krsna, all of our requirements, both spiritual and material, will be looked after in the best possible manner. If we believe the philosophy, we ought to be confident that any restrictions that may be imposed in an attempt to prevent further abuse to children and to protect the reputation of Srila Prabhupada’s movement will not preclude anyone from serving in different capacities, being a devotee or going BTG. In fact, it can be argued that performing more humble services will ultimately be beneficial for spiritual advancement. Opportunities for service are unlimited, and refraining from “leadership” type services can in and of itself be purifying. In closing I will say, as I have stated many times before, that I firmly believe the best interests of the children to be inseparable from the best interests of ISKCON as a whole. The understanding and implementation of this point is crucial to solving the vast majority of child protection issues in our society (and many other related issues as well). If years ago ISKCON had the foresight to afford child protection the necessary importance, by investing the required resources, we would have undoubtedly prevented a significant portion of the needless abuse endured by countless children and the stifling reactions this is having on ISKCON today. Hence, given that the issues I address here are very real and pressing, and that we have permitted ISKCON and our children to be plagued by them for way too many years, I think most will agree that ignoring them will not serve anyone; the continued avoidance of these issues will undoubtedly prove catastrophic. As unpleasant and difficult it may seem, I suggest that adequately addressing these concerns, is not only the easiest and best option, but that in doing so, we will ultimately serve the best interest of the children, ISKCON, Maharaj’s Gurukula and Maharaj himself. Given the content of this document, about one week before sending it out, I forwarded it to Sesa Prabhu first to give him an opportunity to explain himself; he declined to comment. I also have seen evidence related to two other separate CPO cases, besides this one, where Sesa prabhu offered proactive support and protection to the perpetrators to help them defend against the accusations of their victims; I have never seen him take the side of the victims in similar situations. 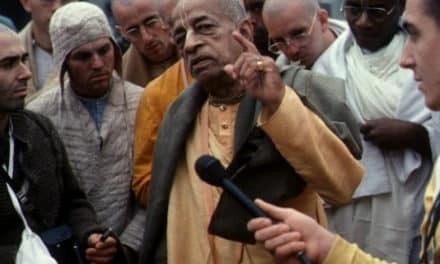 When I take into account the historical track record of ISKCON’s educational authorities in regards to child protection, it is now hard for me to give them the benefit of the doubt and uphold the argument of “innocent until proven guilty”. I require less evidence than perhaps others would to be convinced that one of these leaders is guilty. With the passing of time I have become more and more convinced that ISKCON’s failings to protect children have been, intentional and regarded as an unavoidable “cost of doing business”. After I sent out this document, Champakalata prabhu informed me that, following the two year ban, ISKCON’s Ministry of Education encouraged Maharaj to resume his service with the children in the Mayapur Gurukulas. The Ministry of education is currently composed of the following devotees: Sesa das, Laxmimoni dasi, Saunaka Rishi das (from Ireland), Yadunandana Swami and Radhika Raman das. 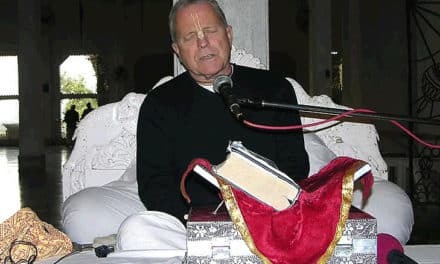 In the western world, an individual who has committed crimes as severe as Bhaktividya Purna Swami has admitted being responsible for, would have faced a prison sentence and at the very least been banned for life from coming in the vicinity of children; yet for reasons that escape me ISKCON’s Educational Ministry encouraged him to resume his service. I, and I am sure many others, will be most appreciative if any one of the Education Ministers would be willing to take the time to explain to the devotee community the rationale that brought them to decide that it was advisable and serving the best interest of the students to encourage a convicted, repeat offender to resume working with children. Both Sesa and Laxmimoni have daughters. While I am glad for these girls that for different reasons they were never enrolled in Bhaktividyapurna Swami’s gurukula; I like to hope that, and wonder if, they would have been less supportive of Maharaj and his reinstatement if their daughters had been amongst his students. At present I am working on an article which explores what has become a widespread phenomenon amongst some of ISKCON leaders – the endorsement and support of Bhaktividya Purna Swami – In the article I try look at the potential consequences this will bring to the society.